“His record has been wiped clean of the filing of this tragic complaint against him,” said his lawyer. Empire actor Jussie Smollett may have some good news after an emergency court hearing in Chicago on Tuesday morning, according to a statement from Smollett’s legal team. ABC journalist Stephanie Wash tweeted out the statement from Tina Glandian and Patricia Brown Holmes, Smollett’s attorneys. The statement indicates that all criminal charges against Smollett have been dropped. Smollett was indicted on 16 felony counts for filing a police report. “This entire case is a reminder that there should never be an attempt to prove a case in the court of public opinion,” the statement reads. In a brief press conference outside the courthouse, Smollett thanked his friends and family and those who stood by him. “After reviewing all of the facts and circumstances of the case, including Mr. Smollet’s volunteer service in the community and agreement to forfeit his bond, we believe this outcome is a just disposition & appropriate resolution to this case,” an attorney for Cook County said, according to a tweet from ABC journalist T.J. Holmes. “Is there no decency in this man?” Emanuel asked of Smollett. He said that this case will “cast a shadow” on all future alleged hate crime cases. “He did this all in the name of self-promotion,” the mayor said. Emanuel went a step further and compared the dropped charges to the college admissions scandal where rich families offered money to get their students entry to prestigious schools. “You cannot have, because of a person’s position, one set of rules apply to them and another set of rules applying to everybody else,” he said. Police superintendent Eddie Johnson weighed in, as well, at the same event. According to a tweet sent out by local WGN reporter Nancy Loo, because the judge sealed the case, police cannot release information about evidence they had gathered. A source told Loo that about 80 percent of the evidence had not yet been made public. 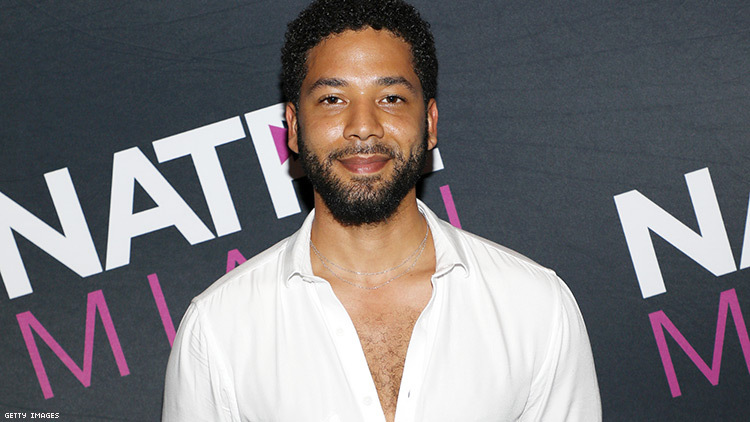 Smollett originally told police that the was the victim of an alleged racist and homophobic attack in the early hours of Jan. 29 near his Chicago home. He said the attackers yelled that this was “MAGA country.” He also said that the attackers poured bleach on him and put a rope around his neck. Police later alleged that Smollett paid two brothers, Ola and Abel Osundairo, $3,500 to carry out the attack. The Osundairo brothers also told police Smollett paid them to carry out the attack. Smollett was eventually charged with filing a false police report after Chicago police spoke to the brothers. The charge was a class 4 felony, which has the possibility of a 3-year sentence. Smollett turned himself in on February 21 and was later released on $100,000 bail. He was forced to surrender his passport due to being deemed a flight risk. A grand jury indicted Smollett on 16 counts of filing a false police report, as the jury counted each separate part of the story — that two men hit him, that they yelled racial and homophobic slurs, etc. — as a separate falsehood. As Chicago PD investigated the case, Empire announced they could cut Smollett from the final two episodes of the show’s fifth season. An episode that aired in March after news of Smollett’s indictment was the lowest-rated episode in the show’s history.